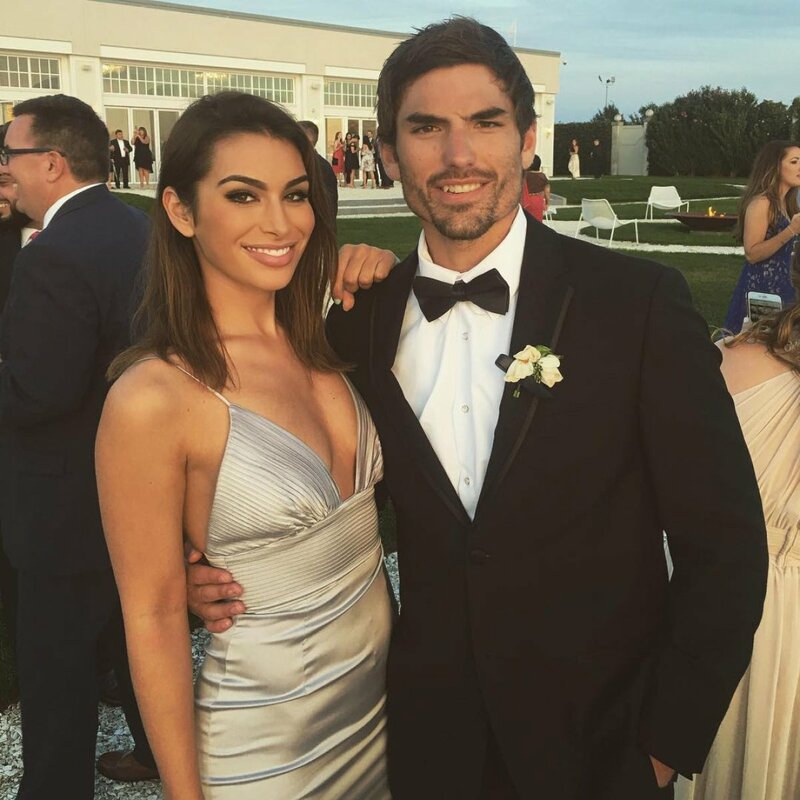 Jared Haibon and Ashley Iaconetti are looking to have a special wedding ceremony that includes a beloved member of The Bachelor family. "We can't really elaborate on the engagement right now, but we are definitely engaged, we are very happy and we're in love," Jared told Entertainment Tonight, with Ashley by his side. "But of course there were tears. I think I can say that; that's kind of a dead giveaway," said Ashley, who isn't allowed to wear her engagement ring in public yet. Nick Viall recently told ET that he would love to officiate his friends' Ashley and Jared's wedding. When the lovebirds were asked whether they had response to that question, Jared appeared flustered and noted, "We do, but we don't." And then Jared, 29, added, "We might have somebody in mind. We're keeping it in The Bachelor family. We have somebody in mind that is very near and dear to our hearts that we would love have officiate our wedding." ET guessed the person "near and dear" to Jared and Ashley's hearts is Chris Harrison, prompting both Ashley and Jared to playfully drag out their responses. "Ummmm, we have to talk more about that," Jared noted. "Everything is just happening so fast. The announcement just came that we got engaged, so I think we're just soaking that in right now and really enjoying our time together." Ashley said she's "in wedding planning mode" with Jared and there's "a timeline," sharing there will be no limit on their guest list and it's going to be "a bigger wedding." She and Jared have also already picked out the location, and she is "definitely is pretty set on a princess dress" for her big day. As far as a televised wedding goes, Jared replied, "Honestly, we haven't even talked about that." "Every time a ring is involved, there's some minuscule amount of discussion," Ashley elaborated. "But no." Jared and Ashley revealed not much has changed in their relationship since getting engaged but they are still getting used to calling each other "fiance" or "fiancee." "I just fall more and more in love with her every day," Jared gushed. The couple plans to move in together "a couple months from now," with Ashley disclosing, "I just moved into a new place, so I'm still getting settled in. He needs to bring his dog over here and then in the winter or late fall, we will start mending all of that together." In a separate interview with Us Weekly, Jared and Ashley said they definitely want two children down the road, maybe even three. The couple met on Season 2 of Bachelor in Paradise. After three years of a confusing friendship/relationship, Ashley and Jared confirmed they were dating in May 2018 and got engaged on June 17 in Mexico. The engagement will be shown on the upcoming fifth season of Bachelor in Paradise.